Versatile dual function fabrication table ideal when cutting, grinding or polishing an already cut to size piece. 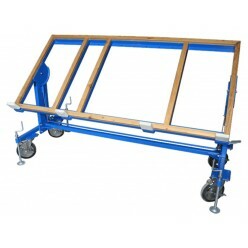 Serves as a work table in the horizontal position and as a slab dolly in the vertical position. 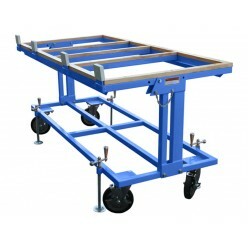 The table top is adjustable for different sloping positions. 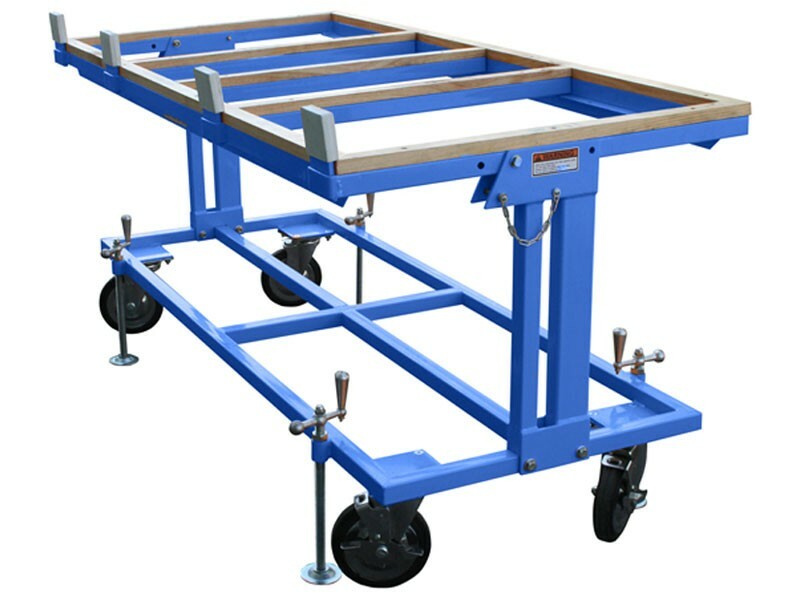 With four adjustable leveling posts for stability and removable centre brace for inconvenience when working with sink hole cut-outs. Three removable centre braces for convenience when working with sink hole cut-outs. Four leveling posts for added stability. 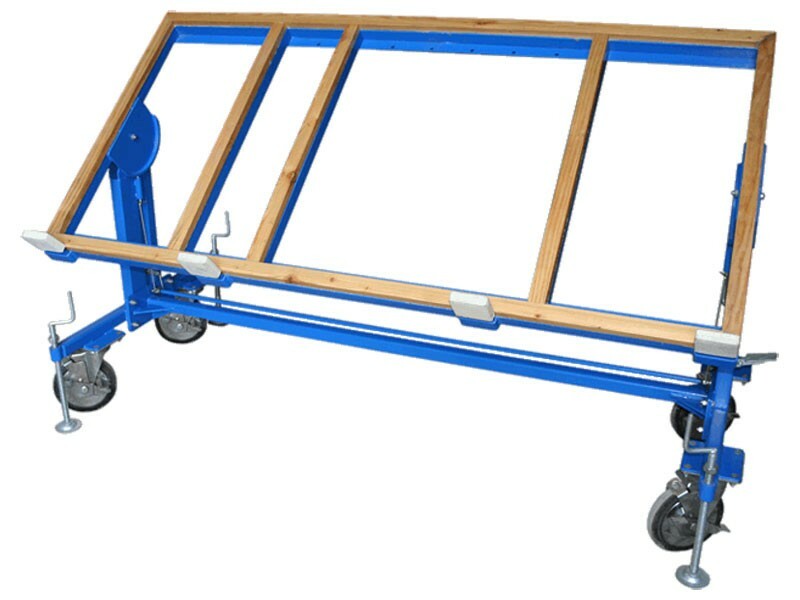 Solid rubber tyres with locking brakes that protect floor surfaces and increase ease of motion. Table top lined with wood to minimise damage to work piece.